Want to remember your visit to our home AND have a great mug for your coffee or tea? 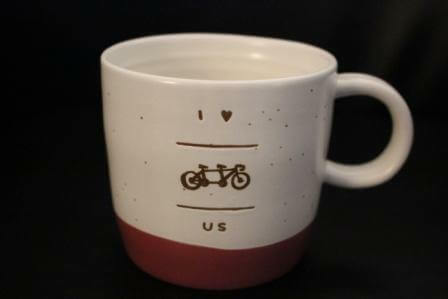 These unique Tandem Bike mugs are terrific for your morning coffee or tea…really any time of day. 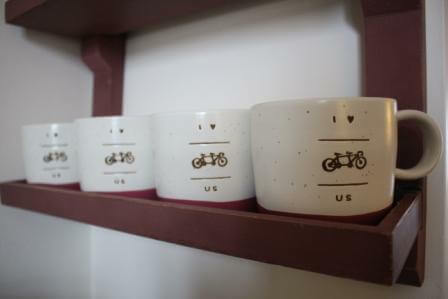 And, it’s a great memory of your visit with it’s “I Heart Us” inscription. Get one today for that special someone to express how you feel about your relationship.